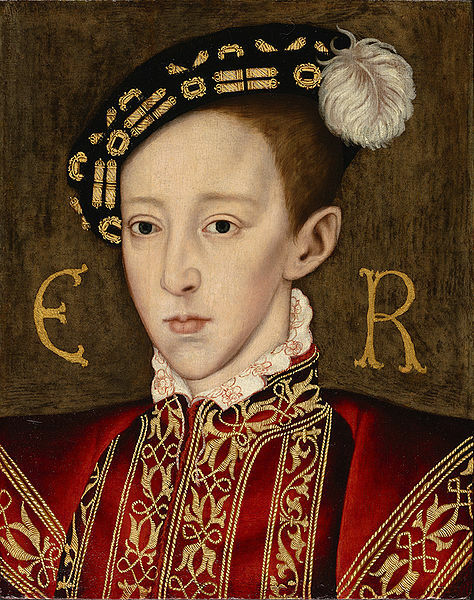 I’ve been reading up on King Edward VI, the only legitimate son and immediate successor of King Henry VIII of England. His mother Queen Jane Seymour died within days of his birth and he was brought up within his own household, mostly by women until he was about six years old. He was then turned over to tutors and scholars to be given one of the finest classical, humanist educations of his era. King Henry VIII died when Edward was nine. Because of Edward’s youth at the time of his accession, his government was controlled by regents, the first of which was his maternal uncle, Edward Seymour, Duke of Somerset who was named Lord Protector. After the downfall of Somerset, John Dudley, Earl of Warwick and later Duke of Northumberland, became regent. Although Edward was not in control of his own government, his court was a remarkable panoply of splendor in the best tradition of his father. Edward himself was a lover and collector of precious jewels and always appeared in the finest clothes, usually covered in costly gemstones. Many visitors to court mentioned his extravagant and magnificent garments. He usually wore an outfit of red and white. He once wore a violet cap embroidered with gold and silver thread and pearls which was highly unusual, causing a Florentine visitor to remark that “nobody would venture to wear a hat that colour”. A French visitor was impressed enough to note that Edward’s guard all wore specially embroidered “E”s on their coats. It must have been visually stunning as well as draining on the royal treasury. To go along with this sumptuousness and extravagance, a rigid and highly elaborate ceremony was performed for every occasion. This also was remarked on by foreign visitors who mostly considered the rituals ridiculous. An Italian humanist who worked for King Edward named Petruccio Ubaldini described the court ritual as “contrived adulation” and said the rigid etiquette of the court was part of the “theater” of Tudor majesty. Several observers were skeptical of how courtiers knelt to serve Edward at dinner. Ubaldini was incredulous that the King’s sisters Mary and Elizabeth were not allowed to dine with Edward under the canopy of state and had to sit on modest stools some distance away. Even more absurd to Ubaldini was the fact that he witnessed Princess Elizabeth “kneel down before her brother five times before she sat down”. 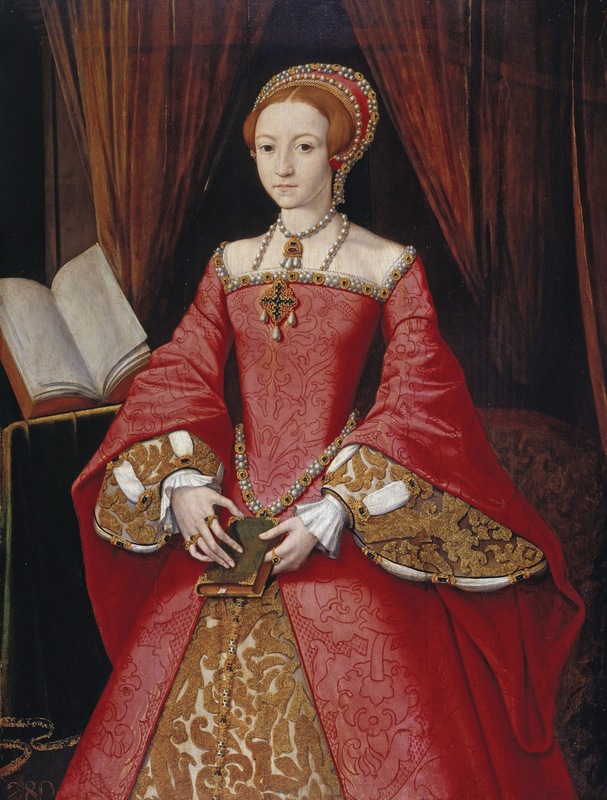 The future Queen Elizabeth I, “Gloriana” kneeling down five times before her teen aged brother. Can you just imagine this?